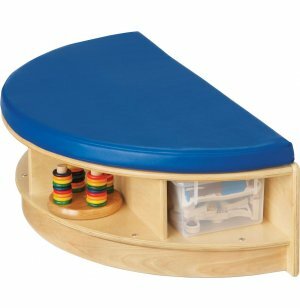 Create a reading center by placing your kids reading bench against a wall or combining it with other pieces. Convenient storage underneath offers the perfect place for books. Top-of-the-line safety features ensure a secure educational space for young learners. Rounded edges and corners and anti-tip construction prevent scratches and snags. 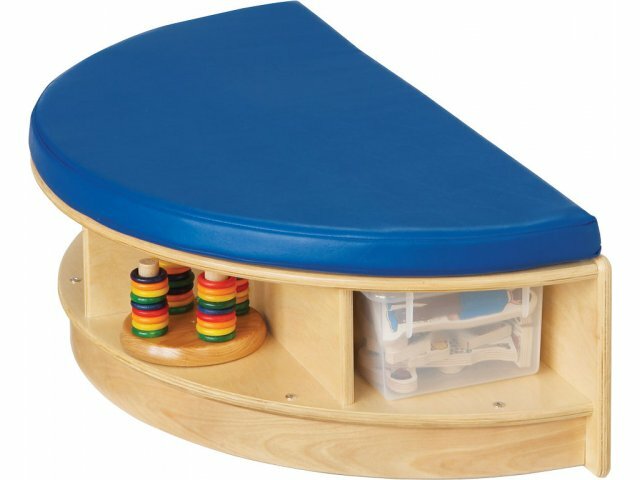 With all of the enthusiasm and energy that little ones bring into the classroom, sturdy preschool furniture is definitely worth the investment. Solid wood furniture with tough dowel and pin construction guarantees years of educational fun. An ultra-durable acrylic finish and permanently thermofused edge banding provide full coverage on all sides. 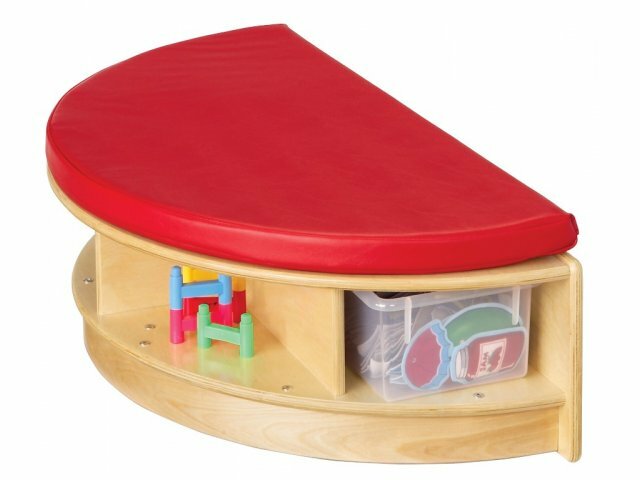 Comfy Seat: Padded cushion creates a cozy place to sit and read. Convenient Design: Storage cubbies underneath are perfect for books or toys. Complete Set: Two clear cubby trays included. No Scratches: Fully-rounded edges prevent injury on all sides. Super Tough: TRUEdge is permanently thermofused so kids can’t pick it off.